NKOR is going to create blockchain-based ecosystem for registering, tracking, and distributing digital data. NKOR want to use the features of Blockchain technology in order to register every transaction of information executed through it while remaining impenetrable to changes and manipulations. It is assumed, that NKOR would allow creators, whether coders or artists, a watertight way to record their works and to prove they were actually first. No product, only market research has been done. Beta version have to be developed at Q2 2018. It is extremely hard to enter to the market due to strong network effect. Competition between content distribution platforms is enormous. Target markets and client’s profile is not stated at all. Product is not developed. Blockchain technology makes content distribution process inconvenient for final consumers. Product does not have clear focus on one type of content. Roadmap shows, that at the end of the year platform has to be developed, which seems unrealistic. Content consumption market has extremely strong network effect. Platforms without audience is not interesting for content owners. Unless NKOR is only one content provider, project cannot protect IP. Project is overvalued. There is no monetization plan. Expected fund distribution is not proved by any calculations. Inconsistent information on website and white paper. Team do not have enough developers to reach roadmap Team members lives in different location and work remotely Founders have legal education and experience, as a result, white paper has detailed disclaimer and company registered in Giblartar. Team do not have any responsibilities to potential investors. The market of IP of all types of content is enormously huge. However, in fact, for this project only market of content marketplaces is relevant. Nowadays, it is highly competitive and has an extremely strong network effect. In fact, content consumption is highly connected with an ecosystem, for example, Google, Facebook or Apple ecosystems. As a result of that, newcomers at this market is almost impossible. Moreover, for content owners, newcomers are also unattractive, due to a small audience. Also, NKOR team does not present any plans for geographical expansions. The Chinese market is extremely different from USA market. However, the team does not specify, where they want to start. According to the roadmap, the alpha version of the product already has to be developed. However, there is absolutely no information about it. Moreover, the current team has only 1 programmer – Ivan Didur, according to company’s website held a position of CTO. At the same time, NKOR unrealistically promises to develop few complex products, including the search engine. Nowadays, it seems to be impossible with the current team. Also, due to blockchain technology, it is impossible to create the platform, which would be convenient for the final consumer. According to Pwc Global Entertainment and Media Outlook, content distribution platforms must combine excellent content with breadth and depth of distribution. It has to create ecosystem, where the content is discoverable easily on an array of screens and at an attractive price. With the blockchain technology, it is impossible to create such platform and bring excellent user experience. And finally, NKOR does not focus on one type of content. They want to cover all types of content, which also seems impossible. 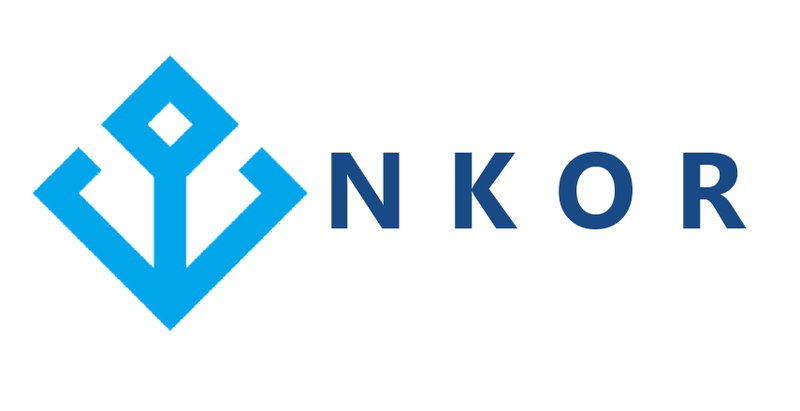 NKOR is going to create an ecosystem for registering, tracking, and distributing digital data. The biggest challenge for such model is attracting final consumers of content. The competition in this area is very high. Without huge audience, the platform is absolutely not interesting for content owners. Moreover, content consumption has an extremely strong network effect. For example, Google, Facebook or Apple ecosystems. As a result of that, newcomers at this market is almost impossible. In addition to that, content protection would work only if NKOR would become the unique platform for content distribution. It is completely impossible. Unless it is not only one provider of content, users could easily switch to other sources of content and get it for free. Current stage of product development is pre-seed in typical VC terminology. The soft cap is equal to $8 mln. It is an extremely high valuation for the current round. Moreover, the team presented expected distribution of funds, however, it also looks unrealistic. 50% for platform development, or not less, than $4 mln for developing a beta version of the product is too much. 25% of funds are going to be spent on marketing. It is 2 to 5 mln USD. Even if 1 attracted client costs for platform 10$, then platform would attract 200 to 500 thousand people, which seems to be not enough for network effect. In addition, monetization plan for the platform is not presented and there are no expectations about future profits of the company. In the white paper, it is mentioned, that price of NTK would be hardly connected with ETH. However, on company website mentioned, that 1 NTK = 0,5 USD. Also, in the white paper it is mentioned, that 36% of total tokens would be frozen for further platform development, however, on the website, only 29% goes to further platform development. Such inconsistency of information identifies weak preparation of team to ICO. Project CEO has huge experience in media production business and education in law sphere. Other team members have an experience in business-related spheres and marketing, however, the project team has only 1 programmer – Ivan Didur, on site and white paper he held a position of CTO, however, on his LinkedIn he has mentioned, that he is an advisor of this project. He is also involved in 2 other projects as CTO and CIO. UX/UI Designer is fourth year student at 'Kyiv Polytechnic Institute'. Moreover, project’s team is spread over the world. Some of team members work in Israel, some of them work in Ukraine, CEO mention, that he now in Hong Kong. All in all, it is impossible to overcome all challenges and became a market leader with such approach.